Simon Garden was born in 1960. He studied at Art Exeter School of Art and Design, graduating with a BA (Hons) 1st Class, Fine Art in 1982. 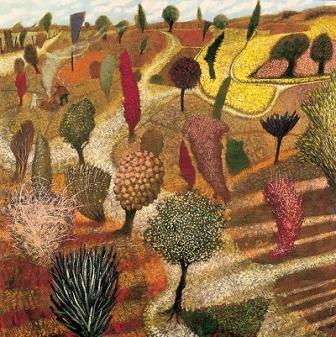 In 2002 Simon Garden was elected as an Academician by The Royal West of England Academy of Art. The talent of artist Simon Garden was acknowledged early in his art career when as a young artist the first showcase exhibition of his contemporary paintings was snapped up within hours of being displayed. Since then Simon Garden has gone from strength to strength building a strong reputation for imaginative and creative British art. Simon Garden has also had a number of successful one man solo art painting shows and participated in various open contemporary art exhibitions. Simon Garden uses seductive rich colour and texture in his modern contemporary paintings. He is an artist who creates a sense of composition that is classically beautiful whilst at the same time daring. Simon Garden strips his landscapes and nudes down to their most elemental forms. This rare simplicity and purity of vision in his painting arouses the subconscious and fires the imagination, drawing us irresistibly into a world both dreamlike and timelessness. 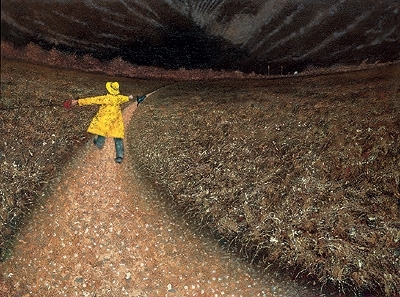 Simon Garden paintings are regularly shown at the Royal West of England Academy for Art. Garden paintings have also featured at other major British Art Exhibitions such as The Hunting Art Prize. Today Simon Garden has obtained a strong presence in many British Art collections. 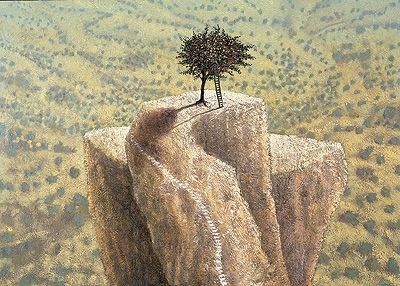 His contemporary paintings also appear is many private art collections in the USA, Holland, Australia, Japan and Germany. 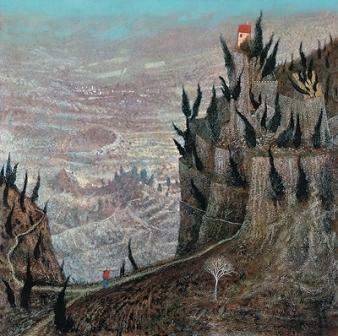 In addition to Red Rag British Art Gallery Simon Garden has exhibited at many leading British Art Galleries including the Royal Academy of Art Summer Exhibitions. All Simon Garden limited edition prints from Red Rag Art Gallery have been reviewed by the artist. This guarantees that all prints offered by Red Rag satisfy the high quality and fine art standards set by Simon Garden for prints. Each limited edition print series from the Red Rag British Art Gallery is available for immediate delivery and can be shipped worldwide.